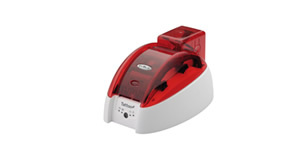 The Evolis Tattoo2 ID Card Printer, this product is now end of life and no longer available. 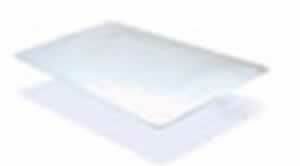 This page is a reference to the durability of the product and that it lasts so long. It has been superseded by the Zenius card printer. Tattoo2, designed for minimal impact on desktop space. A compact printer with an A4 footprint. The Tattoo2 card printers proudly carry the stamp of Evolis’ strong commitment to reliability, and therefore, benefits from unmatched quality along with a 2-year warranty. Evolis Card Printers have been acknowledged as pioneers in desktop card issuance. Supplying printers to Banking, Security, Schools, Universities, College Education and many other card related industries. Tattoo2, was available in USB only. 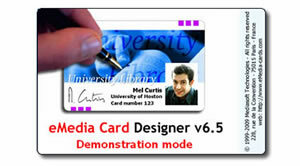 Card Design Software, Tattoo2 ID card printers ship with eMedia trial Card Design Software. 50 Blank white cards included in the starter pack. 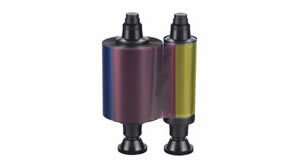 100 print colour ribbon, Cartridge included with printer will print YMCKO.